Here we can discuss, ask questions about test lead kits. Post pictures and mini reviews. 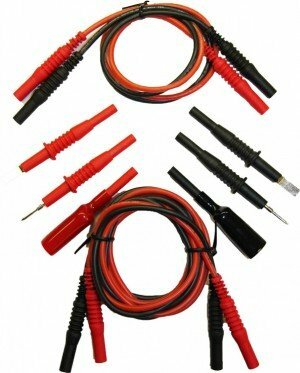 K-type temp probes, alligator clips, mini grabbers, test probes, lead cases, specialty leads. Let's share our thoughts to create a resource thread full of information to those looking to buy and see the differences between products that all look very similar. Well, first off, don't buy cheap leads! They are not worth it! Fluke Twist-Guards are my go-to Leads for day to day use. I use the Fluke Alligator clips with them. 95% of my needs are met by this combination. I purchased a Triplitt Modu-lead set for $35 and I would have no troubles recommending that set for someone looking for an inexpensive and comprehensive set. Are those PVC or silicone? Do you use the TL175 or the TP175 with banana leads? I've been using leads that come with the Bosch meters we sell, so far they've been perfect. 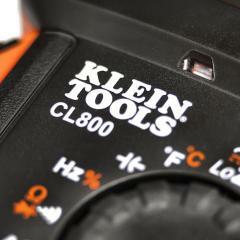 I use them with my Klein clamp meter and haven't had a single issue with them. And my daily Leads are the TL175! I wasn't a fan of the Klein leads, they are a little too stiff for me. I don't mind them, but I prefer the Bosch leads. The only issue is that the Bosch leads are a little thicker and won't fit the probe holder on the meter. No biggie for me though. Great deal at $35 compared to Extech and Fluke/Pomona. They look like Mueller and I know the Muellers are silicone, wonder if they're the same. I have a different Mueller set with my scopemeter at work. I use mostly Fluke leads myself. TL224 with TP2 are my main leads. I have TL175 on my backup meter at work. I store TL910s in my bag for when I need something small or with a certain tip, those are awesome leads. I like them enough that I have the Pomona 6341 on my inside workbench at home...they're freaking expensive though. BTW, if you need some banana to banana or want to make your own leads with different clips/probes, check these out. They're cracked but doesn't affect usability, you could always fill the crack with something. What I did was cut one in half, splice silicone wire to the ends then add the clips I wanted. These are generally about $23 a piece so for $3, it's worth dealing with the cracks.